A UK drug development services company recently acquired three new businesses (including two in the US) and found itself with a name, visual branding and brand narrative that didn’t reflect the rapidly expanding organisation or its ambitions for the future. We were engaged by the Marketing Director to roll out the new brand identity across the business’s 5 sites. Our remit included project managing the rebranding of all customer-facing materials and touch points (e.g. IT systems, signage, documentation, sales & marketing materials), managing the internal communications plan and the employee brand launch events. 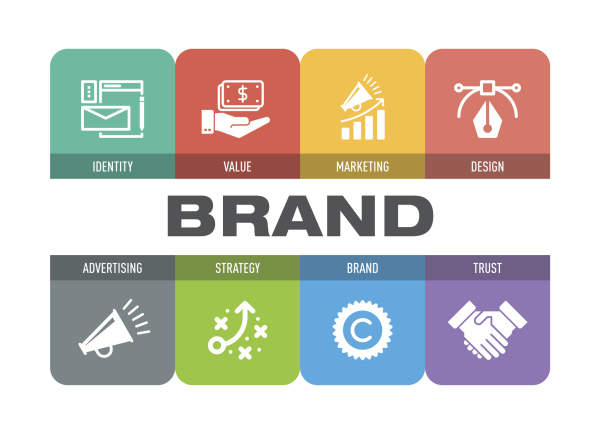 As implementing the new branding required the involvement of several departments, one of the first steps was to identify a brand champion from each function (e.g. HR. IT, finance, regulatory, marketing etc.). The brand champions helped to audit all assets that carried the corporate identity. A task force, consisting of the brand champions and site representatives, was established which was responsible for rolling out the new brand. Regular team meetings helped to identify areas of overlap, interdependencies, raise concerns and ensure that the timing of the rollout was synchronised across departments and locations. This relatively small team (around 10 people) were able to deliver results quickly. The site representatives helped the parent company to understand the day-to-day processes within the acquired companies, enabling the project to be managed from the UK. The functional representatives were pivotal in driving consistent rebranding across departments in both the parent and acquired companies and the rebrand served as a catalyst for integration and alignment between the different sites. A small team of senior leaders within the organisation drove the development of the brand story, refreshed the company’s vision and messaging and created new content for the website and other customer-facing material. By keeping the team small and selecting senior leaders with business area expertise, the team was able to be highly efficient. Equally important was the Marketing Director’s selection of exceptional agencies to support the process with PR, graphic and web design, printing and signage. - the resolve of every team member to deliver their part of the project on time. While rebranding can be daunting a well-structured project team, with the drive to succeed, can make all the difference. Equally important is the selection of exceptional agencies to support the rebranding process with PR, graphic and web design, printing and signage.